For Bruneians who have been denied watching any of Brunei's football teams playing international football, FINALLY, the good news, FIFA have lifted Brunei's suspension. I have taken the liberty of publishing FIFA's media release below or if you still want to be convinced, you can go to FIFA's website yourself. I for one am glad that whatever the Ministry of Culture, Youth and Sports did, it seemed to work. I have to take my hats off to my colleague, Dato Hamid. Thank you so much Dato. Now you have to tell me what is meant by the FIFA Media Release saying "NFABD formerly BAFA"? New football association? Incidentally we are ranked 196th in the world. In April we were ranked 199th. I don't know how we moved up considering we did not play any international football. We were even awarded 9 points. Maybe the strategy is not to play too much football unless we can win the games! As part of the Sultanate’s plans to overhaul the national education system, Brunei Darussalam’s education professionals are being taught new skills to better equip them to teach the new generation of managers. Efforts in this area are part of the shift in focus away from what has been described as “chalk and talk” teaching to a curriculum that is designed to meet the future needs of students in a changing working environment. 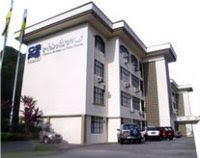 For a number of years Brunei Darussalam has been working to tailor its education system to fit the country’s new economic direction, which has been outlined in a series of blueprints for national development, in particular Wawasan Brunei 2035 and the National Education System for the 21st Century (SPN 21). Many in Brunei knew 1929 was one of the most crucial of all years in recent Brunei history. That year was the year that oil was found in commercial quantity in Brunei. It took more than a quarter of a century for that oil to be discovered. Oil has been more or less expected to be found in the North West Borneo area. By the mid 19th century, seepages have been reported in a number of places and oil prospectors have come in droves flooding in to Borneo and into Brunei all hoping to be the lucky person to find that oil. 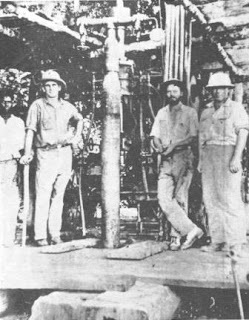 Oil prospectors tried drilling in a number of places. Someone asked on the comment box, whether I know of any think tanks in Brunei. I thought that was an interesting question and certainly pushed me to think what is meant by think tanks and how many there actually are there in Brunei. In its simplest form, a think tank is a body of experts providing advice and ideas on specific political or economic problems. At its most complicated, a think tank (or policy institute) is an organization that conducts research and engages in advocacy in areas such as social policy, political strategy, economy, science or technology issues, industrial or business policies, or military advice. On Monday, Professor Hussainmiya brought me his latest book and he asked me whether I could do a book review during the book's launch on Thursday. At that time, I was still completing my paper for the MIB Seminar and my turn to give the talk was on Thursday and I was only about halfway through completing my paper. But I thought this was a very rare opportunity and regardless I was sleeping at 2 am every night that week, opportunities like this come not very often. Honestly I have never done a book review other than as class exercises when I was at school many many years ago. And I have to do one in about 3 days and not only that I have to do it in public and not to mention I have to complete my MIB paper as well. It was indeed a challenge. So here is the book and here is my public book review which I delivered at the Yayasan Hall on Thursday afternoon during the launch. By the way, it is very long and it is in Malay, which is a tad ironic as the book is in English. This Sarawak stamp cost me US$45. You are probably wondering giving my animosity towards most thing Brooke, why on earth then would I want to pay so much for an old 5c Sarawak stamp. 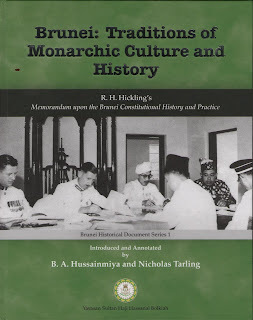 This one has Brunei history. If you remember my article on Muara, you would know why. Muara was in the late 1890s and early 1900s was administered by Rajah Brooke in his personal capacity. Of course, it was hard to distinguish between his private and official capacity. He brought in Sarawak police and other administrative requirements such as the postal service. The first stamps to be used in Brunei was not the Brunei stamps which came in 1895. The Sarawak stamps were used much earlier in 1893 and up to 1907. 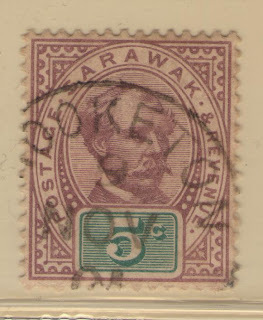 Sarawak had its first stamps as far back as 1869. This particular Sarawak stamp was used in Brunei territory, Brooketon. If you looked closely you can see that the stamp is postmarked Brooketon and posted on 9 November, unfortunately the year is not visible. In the 1950s, the government took great efforts to get school children to school. This photograph from the 1955 Brunei Annual Report shows just how difficult it was. Everyone seemed cramped into this little boat. Look closely. You hold your shoes in your hands and walk out of the boat barefoot. You wear a songkok but with shorts. You bring your books wrapped and tied in a plastic bag (see the standing boy). The result - a better educated Brunei society. We should thank the Government for educating our grandparents and our parents and us in turn. Everyone in Brunei knows that there are four districts in Brunei. The largest being the Belait District and the smallest being the Brunei-Muara District. One can also be curious and wonder why is that the Brunei-Muara District, small enough as it is, comprised of two different parts – that of Brunei and Muara. If these two are split, the resulting new districts would even be much smaller. Why then is Muara given a special place in the name of the district? 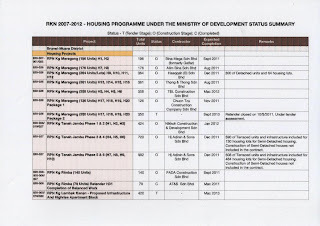 The best answer to that is that from the beginning, Muara has developed independently of the rest of the district. 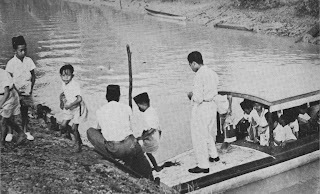 Before the 1900s, the hamlet of Muara was inhabited by a small group of Malay fishermen. However it was the coal at Serai Pimping in Muara that attracted the Europeans to come here.